CLOSEOUTS. 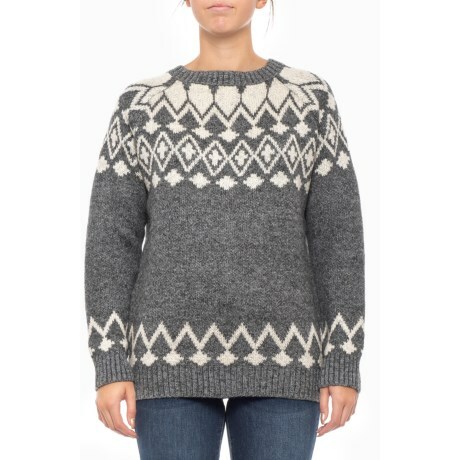 Solitaireand#39;s asymmetric patterned pullover sweater offers a soft, warm knit blend in a traditional crew-neck silhouette. Available Colors: GREY/WHITE. Sizes: S, M, L.